Wow! Schwartz/Silver is associated with not one, but THREE museums in Architectural Digest’s list of "The Best-Designed Museum in Every State in America." Housing Louisiana State University’s Museum of Art, as well as a theater and classrooms, the Shaw Center for the Arts was designed by Schwartz/Silver Architects. Home to the country’s largest Newcomb pottery collection, its translucent exterior and innovative design earned an AIA award in 2005, the year it was completed. 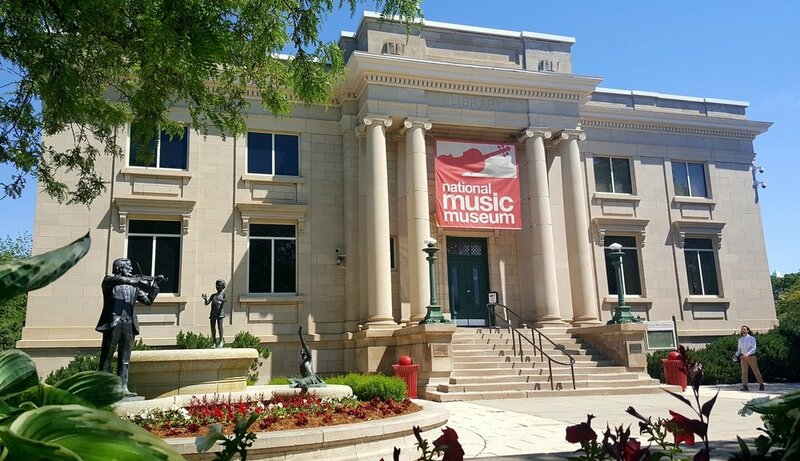 Housed in this 1910 building—and located on the University of South Dakota campus—is the museum and its collection of 15,000 instruments. The museum was founded in 1973. Marked by metal cones out front, the University of Vermont’s Fleming Museum of Art first opened in 1931. The Colonial Revival style was imagined and realized by William Mitchell Kendall of New York City, a prominent architect at that time.